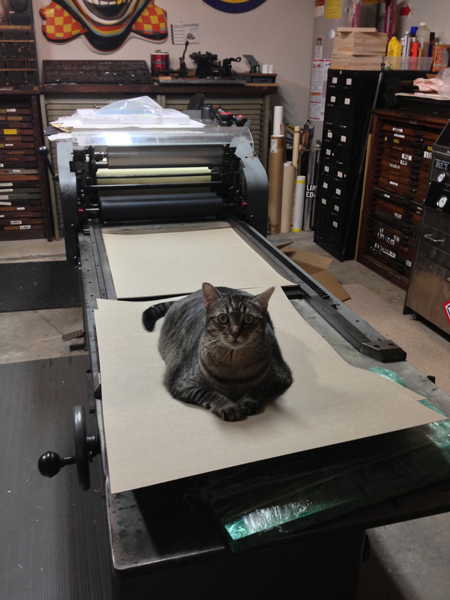 A Texas original, Inky Lips Letterpress is owned and operated by Casey McGarr. He has 20 years of graphic design experience and started Inky Lips Letterpress in 2001 and has loved it ever since. We offer workshops to everyone, offer tours, students and professionals are welcome to stop by anytime. We operate a Vandercook Universal lll AB P & Universal l AB Hand, wood type and a CNC router for cutting type..